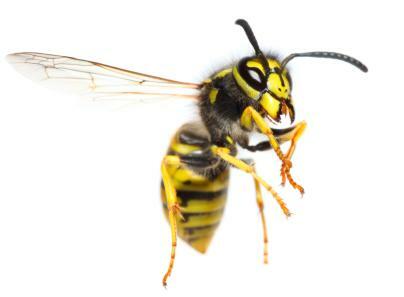 Yellow Jackets, Paper Wasps, Bald-Faced Hornets & Mud-Dauber Wasps are all part of the “wasp” family. Many people are allergic to bee/wasp stings & they should not attempt to treat any nests on their own. 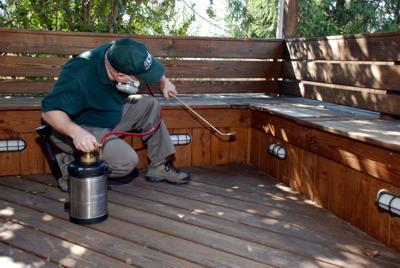 DSPM, bee exterminator York PA & wasp exterminator York PA, can perform extermination service for all of them. What we do: DSPM, bee exterminator York PA & wasp exterminator York PA, uses a special type of “non-repellant” material that is injected into these entry/exit holes that the bees/wasps are using. Because of it's non-repellant nature, the intruders will continue their normal activity after the treatment. Because the material also works relatively slowly, the insects will have plenty of opportunity to travel through the insecticide & take it into the nest, transferring it to the other workers & eventually to the queen. This process will only take a day or so & will wipe out the entire colony. 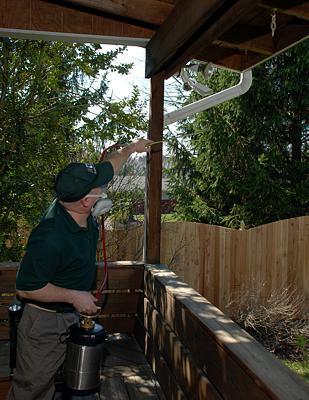 As part of the service, DSPM, bee exterminator York PA & wasp exterminator York PA, will also inspect around the perimeter of the home for any other potential bee nests that the homeowner may not be aware of. If a ladder is required, the homeowner must provide one. The sprayer can reach up to 15 ft. high depending on the wind speed & conditions. Often times the nest can be accessed from a window or from a roof that is accessed through a window. So a ladder is not needed as often as you may think. DSPM may be able to do an entire exterior perimeter treatment. This includes treating along all eves of roofs, behind shutters, along bottom edge of siding, around window/door frames & any other potential nesting areas that we find during our service/inspection. This service can also be performed in the Spring as a preventive measure. The price is subjective to certain variables such as extensive ladder work, extra large houses, log homes, etc.